Leeds is a perfect party place that draws more and morevisitors and holidaymakers every single year. And people of Leeds city also are known for their aparty skills. There is a wide rangeavailable of a big choice of few nightclubs, theatres and other such places to party which further makes this city a hot favourite destination for those willing to spend some happy times to enjoy themselves . At Limo Hire Leeds Star Limos make help your party plans more pleasant by providing luxurious party vehicles. Our fleet of luxury buses and cars is equipped with all the luxuries and fun extras that you make the journey more comfortable and fun for the journey to Leeds in your Limousine. By all means contact us for hiring your cheap Limo hire in Leeds. We provide Limousine Hire service for all occasions such as birthday parties, weddings, anniversaries, school proms and concerts. Our limos are designed to be able to cope with every occasion to help add to the event you are hitting your limo for Leeds for. Partying in a limo needs zeal, fun and comfort. We provide party-perfect limos for your Leeds trips for you so that you can enjoy the real joy of partying in a Limo as you cruise along travelling to your night out in Leeds City Centre. Hire a luxury limo equipped with computerisedlighting and quality music systems not too different to a nightclub on wheels. Male and or Female Hostess can also be provided on special request. Our 16-pessanger luxury Limos are at your service, 24 hours a day and 365 days a year. When it comes to ambience think of Star Limos for Limo Hire Leeds. Our fleet of limos are some of the best luxury vehicles out there in West Yorkshire. Star Limos in Leeds is a member of National Limousine and Chauffeur Association (NLcA) which assures you the customer of the quality and safety requirements set by for your utmost care and safety. 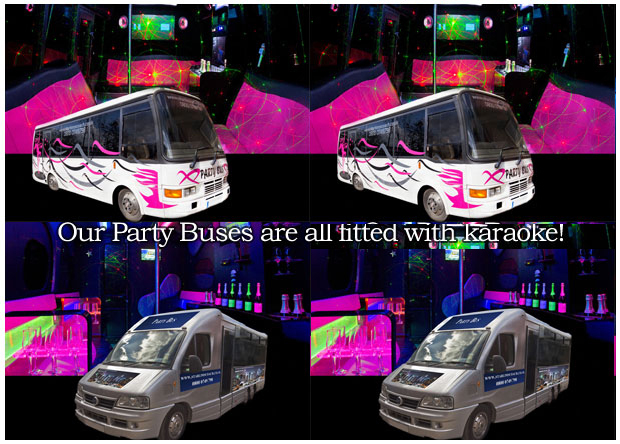 Contact us to hire Leeds Party Luxury bus hire for all occasions or for your stretched Limousine or your wedding cars and executive car hire in Leeds.